The review on the legality of confinement of Jesuit priest Fr. Lee Young-Chan, was held on November 6. However, the request for his release was dismissed and the legality of his arrest was confirmed. 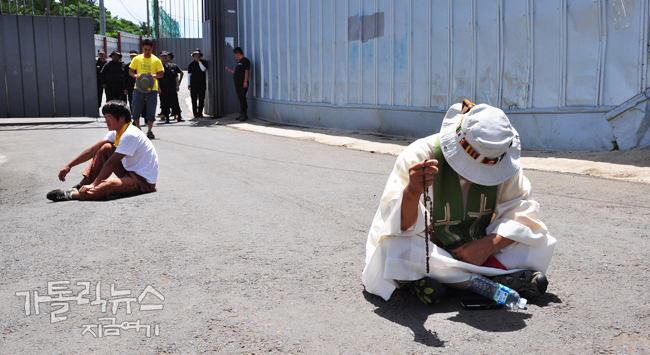 While the review was being held, a prayer gathering of fellow priests, nuns and peace activists was held in front of the Jeju District Court in Jeju City. 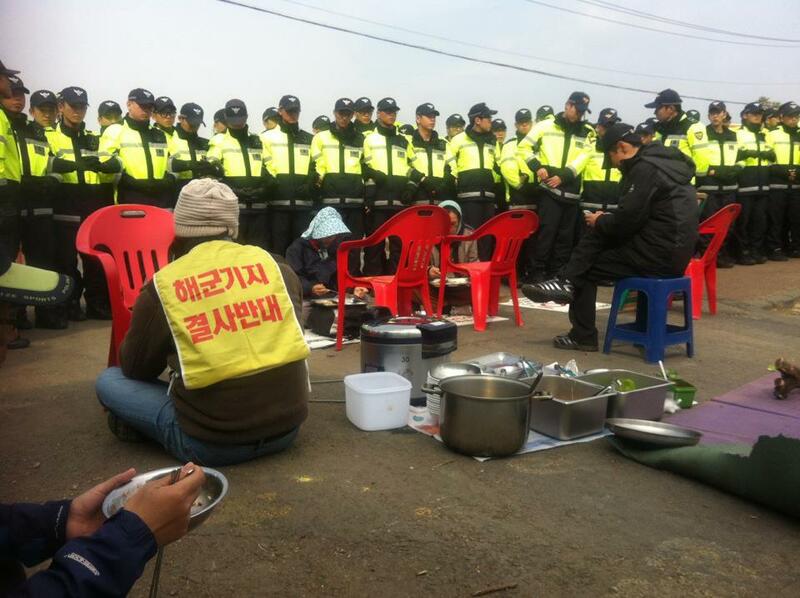 Jesuits Korea issued a statement on his arrest and appealed for solidarity and support for Fr. Lee, saying that the Jeju naval base project is an international issue and they will continue to raise awareness of this issue especially among North American and Asia-Pacific region Jesuits. They will also hold a Catholic mass on November 9 at 4:30 p.m. at the Jesuit Center in Seoul concerning the current situation and for the release of Fr. Lee and other imprisoned peace activists. 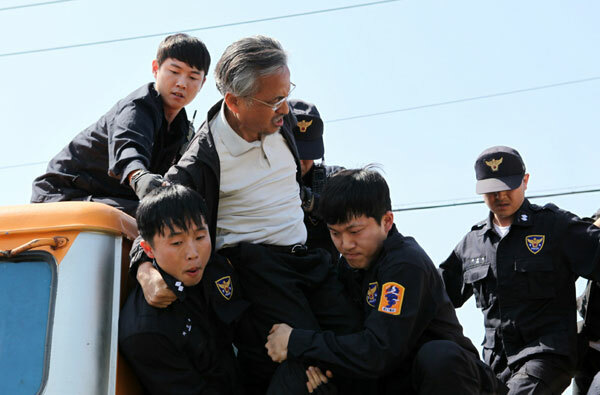 Fr.Lee was arrested on October 24 on charges of Obstruction of Business while he was protesting against the arrest of another peace activist at the gate of Jeju naval base construction site. Statement of Jesuits Korea on the arrest of Fr. Lee Young-chan.